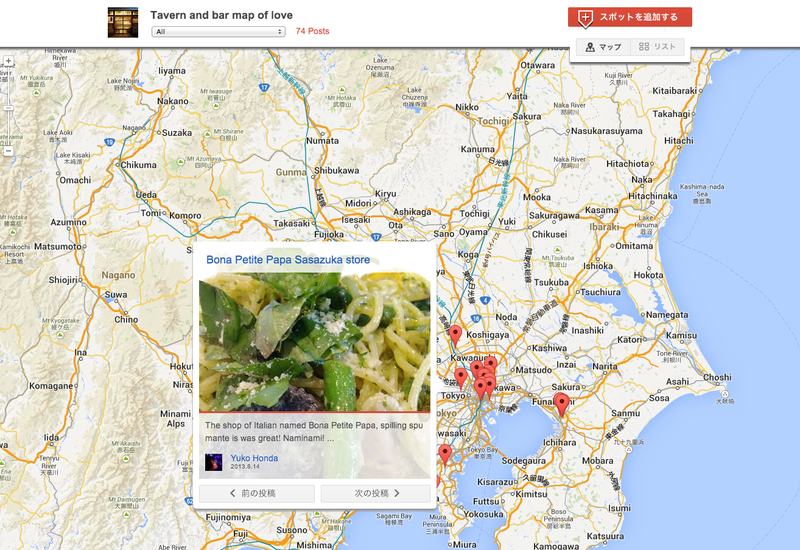 It started with a Google+ Community called ‘Tokyo Slide Map’. A group of users wanted to chronicle the very best children’s slides dotted across the capital of Japan by uploading geotagged photos of them. Google stepped in with ‘Minchizu’, a Web app that plots all of these user-generated images into a custom version of Google Maps. It’s a visual, collaborative tool that any user can browse and learn from. What started as a nice gesture has now expanded into a larger campaign supporting multiple Google+ Communities. The Minchizu site, or ‘Everyone’s Map’ project, now offers 42 different maps tied to specific Google+ Communities. These cover major castles, guardian dog statues and exceptional bars and taverns in Japan, to name but a few. To contribute to a specific map, users simply join the relevant Google+ Community and post a photo with the #Minchizu hashtag. Images with geolocation data can be plotted automatically, but users can also choose to use the check-in feature of Google+, or grab the custom URL of the Google+ location page. Google has stumbled across a rather wonderful idea here. Minchizu is delightful in its current form, but clearly there’s a need and demand from users for a similar feature properly embedded in Google+.